How Far in Advance Should I Book a Travel Health Appointment? To be safe, you should seek advice as soon as possible prior to traveling. Certain travel vaccinations, such as Yellow Fever, must be given at least 10 days prior to departure. This is due to the time it takes your body to build immunity. When you first call to book an appointment, our travel medicine specialist will obtain your travel itinerary and will prepare a Travel Report that contains all relevant medical information for the country or countries to which you are traveling. At your Initial Consultation, our travel medicine specialist will discuss in detail the information contained in the Travel Report and recommend travel vaccinations that you should be given. The Initial Consultation lasts approximately one hour. When Will I be Given My Required Travel Vaccinations? You will receive your travel vaccinations on the same day as your initial consultation and may be asked to book follow-up appointments if booster shots are required. What if I Experience an Adverse Reaction to a Travel Vaccination? As a medical care centre with physicians on site, we are properly equipped to deal with any adverse reactions you may experience. What Information Does the Preventous Travel Health Report Contain? 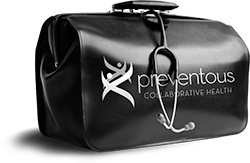 The Preventous Travel Report is a thorough and comprehensive report containing information tailored to you and your specific trip. What if I Have Health Issues upon My Return? Simply call us for an appointment and we will address any health concerns you have after your trip.